Minerit-HD Fiber Reinforced Cement Composite Building Panels - Foundry Service & Supplies, Inc.
Minerit HD (aka Cembrit Construction and Cembrit Raw) is an untreated fiber cement board that allows the authentic appearance of the rough fiber-cement to stand out. In nature, Minerit HD is a building board which can be installed for facade purposes, when a natural and rough expression is desired. Minerit HD is a natural material and variations may occur in the individual boards and from board to board, adding a lively expression to your facade. Minerit HD is a high quality fiber cement building board used as both a building board as well as a part of a ventilated facade solution. 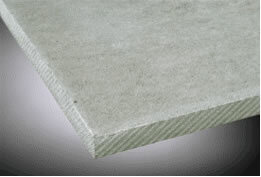 A smooth, natural gray fiber cement board with an even-quality surface that allows for effective staining. Heavy Duty façade boards arcell namextremely well suited to both new buildings and the renovation of old buildings. Heavy Duty is a safe construction material for façades, balconies and footings and for agricultural construction. Heavy Duty’s smooth, natural gray and even-quality surface allows effective staining or painting if desired, but does not require any surface treatment. Heavy Duty is a Finnish product that is made of clean and non-hazardous raw materials. As a Finnish product, Heavy Duty is designed to withstand wear and extreme weather conditions of the north, such as major temperature and air humidity fluctuations. In addition, Heavy Duty boards are noncombustible. Specially developed for exterior cladding, Heavy Duty (HD) is strong, durable and able to withstand extreme climatic and working conditions. Its smooth, cement gray surface provides the perfect base for a variety of finishes and composite panels. Properties based on 1/4″ material. 1/2″ Screw Must be calculated for each system. Fasteners must never be positioned closer than 1/2″ from thcell namedge, or 3″ from the corner of a panel. Use stainless steel screws with 3/8″ diameter washer head. Holes must be predrilled into sheet with clearance around screw threads. Minerit Heavy Duty cement board Non-combustibility test for building materials. Minerit Light Weight cement board Non-combustibility test for building materials. Minerit Multi Purpose cement board Non-combustibility test for building materials. Methods for determination of the contribution of components to the fire resistance structure. Loadbearing suspended ceiling (30 minutes) BGSI5054. No. PA-111 4.518 for MP & HD Non-combustibility test for building materials. No. PA-III 2.2120 for MP & HD Surface Spread of flame test for building materials. Methods for determination of the fire resistance of non-loadbearing elements of constructions. A fire resistance test on a non-loadbearing; metal stud partition faced with Multi Purpose or Light Weight board. 1/2-1 hour fire rating. A fire resistance test on a non-loadbearing timber stud partition using rock wool insulation and faced with Multi Purpose or Light Weight board. 1/2-2 hours fire rating. Simulated wind load test. Minerit Heavy Duty wall panels. All reports available upon request.